As we grow older, we start to notice changes in our bodies. We may grow a little rounder at the waistline, wake in the middle of the night, or just tend to misplace things sometimes. 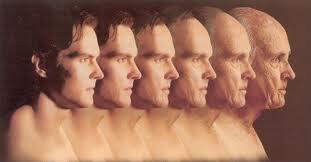 How do we know if we are aging normally? Well, I have to say if your aging involves pain at any part of the body, you should definitely see a doctor. Is a process to achieve physical, mental, and social well being throughout one's life particularly in the later years. A very interesting post by a Doctor, Henry Lodge MD came across my mind as we talk about ageing. He asks if aging was optional? and claims that 70% of standard American aging is not optional. Well, that goes to everyone actually, because we now have a whole new understanding of the basic cellular mechanisms involved with aging, way down at the molecular level. According to science, we do have a choice.You can choose to become functionally younger by years, even decades, by making changes in how you live. These changes, not so surprisingly, involve exercise, nutrition, and your emotional health. Nowadays most elder people came to clinics complaining of other problems, but when asked more about their body pain, they would usually reply that it's a normal part of ageing. This is not true. The aging process is quiet, peaceful and not painful. A Revolutionary Breakthrough from Shaklee Vivix� Botanical Beverage Mix is a revolutionary breakthrough in polyphenol nutrition.Vivix� contains a unique botanical blend of Polygonum Cuspidatum, Muscadine grape, European Elderberry and Purple Carrot which are rich in polyphenols. Polyphenols are a group of phytochemicals that are plant-derived compounds with antioxidant and cellular aging benefits. All natural. Patent-pending. Clinically tested key ingredients. Exclusive to Shaklee. Others: sorbitol, water, glycerin, natural flavour, silicon dioxide. Shake well before use. Take 1 teaspoon daily with a meal. Keep refrigerated. Each servings contains, Energy (15 kcal), Carbohydrate (4g), Total Sugar (0.1g) and Protein (0.02g).